A pizza sitting on a wooden table. Mellow Mushroom is a pizza restaurant that was founded in the 1970s by three students from the University of Georgia. Mellow Mushroom is known for its psychedelic decor and wheat pizzas made with high-quality ingredients. Most locations also offer a full bar. As of January 2011, there are over 100 restaurants in 15 states. 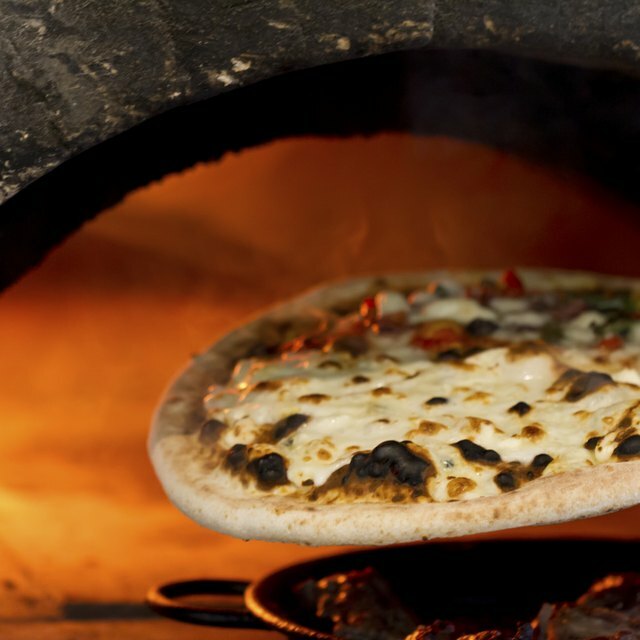 Mellow Mushroom offers a variety of pizza options. 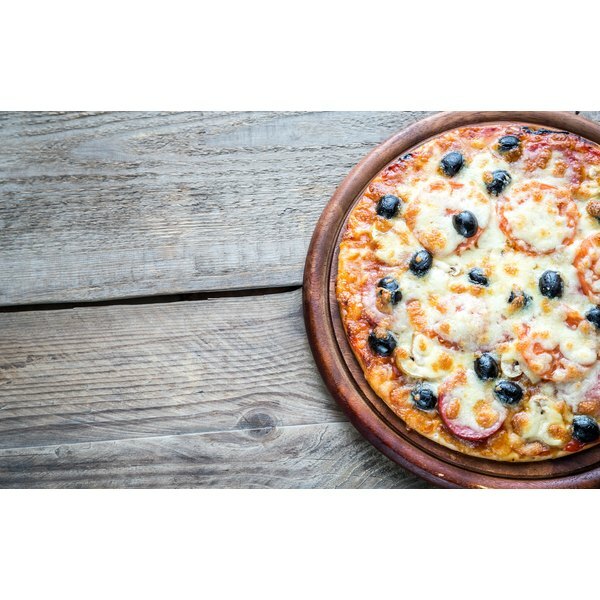 One slice of cheese pizza has 170 calories, 4 g fat and 27 g carbohydrates, and a slice of their signature pepperoni and green olive pizza has 240 calories, 14 g fat and 27 g carbohydrates. A quarter of a 10-inch vegan pizza has 216 calories, and a quarter of a 10-inch Hawaiian pizza with ham and pineapple contains 255 calories, 9 g fat and 32 g carbohydrates. One whole Mellow Mushroom cheese calzone contains 840 calories, 32 g fat and 93 g carbohydrates. A chicken and cheese calzone also has 840 calories, 32 g fat and 93 g carbohydrates. One portobello mushroom sandwich at Mellow Mushroom has 357 calories, 21 g fat and 45 g carbohydrates. Mellow Mushroom offers a jerk chicken hoagie with 395 calories, 11 g fat and 50 g carbohydrates, and an avocado hoagie contains 430 calories per sandwich. A chicken parm hoagie at Mellow Mushroom has 768 calories, 26 g fat and 42 g carbohydrates. Mellow Mushroom offers a small Greek salad that contains 297 calories, 11 g fat and 24 g carbohydrates. There’s also a honey and cinnamon sugar pretzel that has 315 calories, 3 g fat and 58 g carbohydrates, and a Mellow Mushroom Chocolate Chunk dessert that contains 480 calories, 22 g fat and 71 g carbohydrates.